Pittosporum tenuifolium 'County Park Dwarf' - Black foliage all year, new growth is bright green. Osmunda regalis ‘Cristata’ - Royal crested fern. This is a great plant pick. Phygelius capensis - Cape fuscia. More hummingbird food. Clematoclethra hemsleyana var. akebioides DJSJ 3008 - A semi-evergreen vine. Podophyllum delavayi - Finally! This has been on my wish list for way too long. Urginea macrocarpa - Another odd & rare wonder from South Africa. 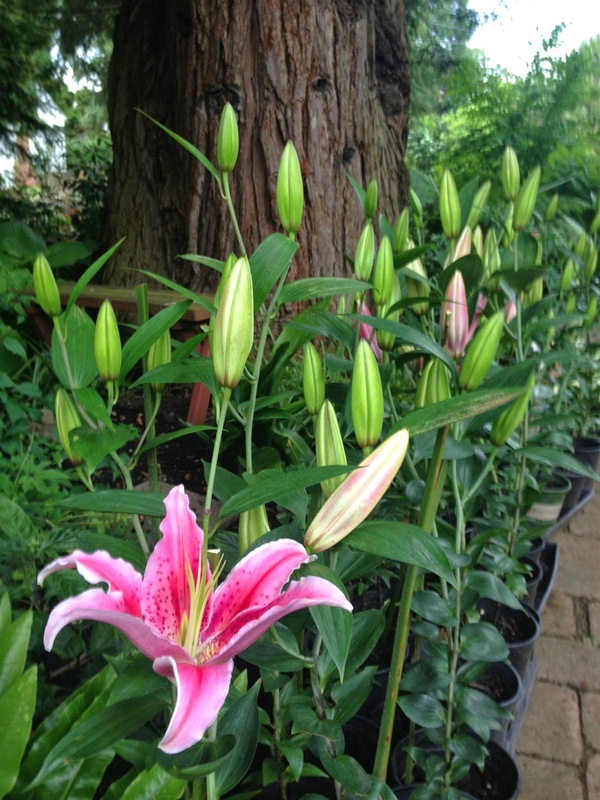 The flowers resemble lilies. Disporum cantoniense 'Green Giant' - Chinese Fairy Bells. Reaches 4' tall. The garden is looking better than ever and I can't wait to show it off. I've been worried these stargazer lilies, which I'll be selling, would be past their prime by the time of the festival comes around. Now that I've moved them to the shade though they're growing slowly and should be looking and smelling incredible at the festival! When the Phoenix canariensis (Canary Island Date Palm) I had for the past two years rotted out in the middle, I decided to replace it with something very similar but much better: Jubaea chilensis (Chilean Wine Palm). 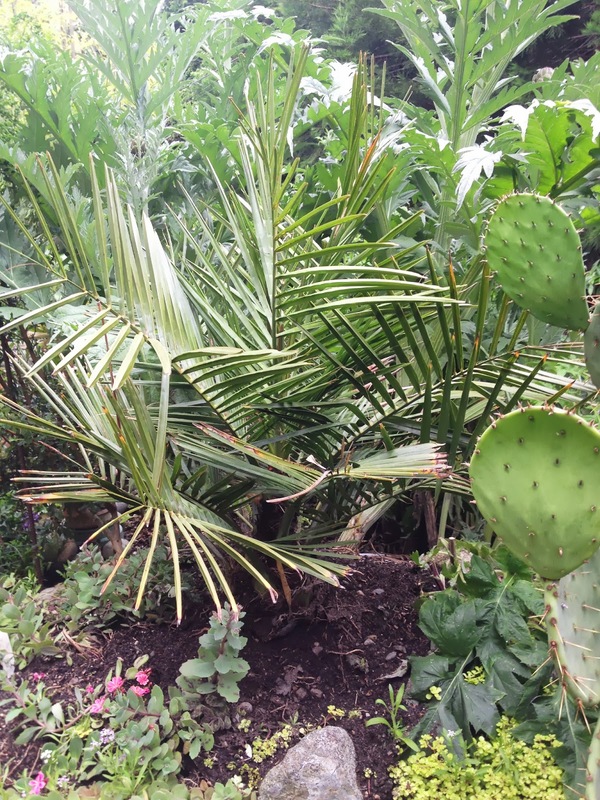 This palm is less susceptible to disease and will eventually become a 100-foot monster. When I saw this at Jungle Fever in Tacoma, I knew we were meant for each other. 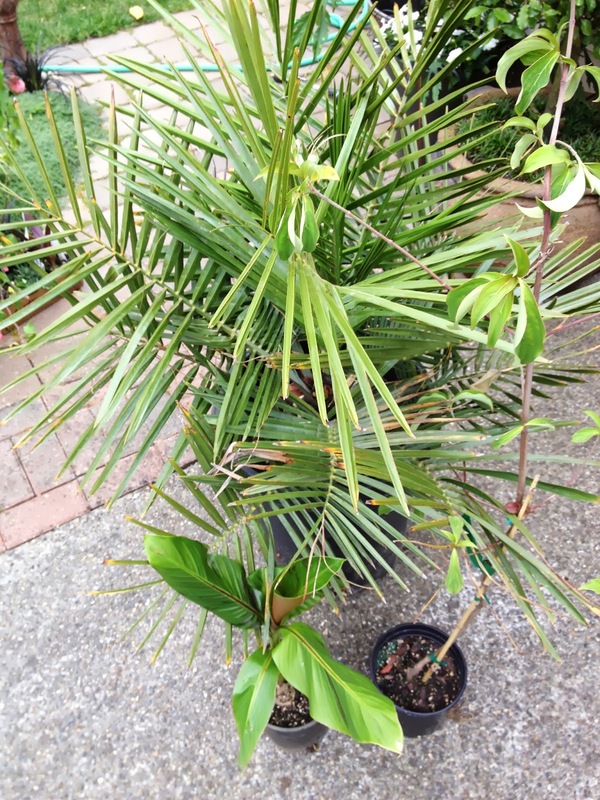 I also picked up a Musa sikkimensis and a Cornus capitata (Evergreen dogwood). Although the veggie garden exists primarily to produce food, I am trying to get it to look picture perfect for the festival. Hopefully the peas will hang in there! Oregon Sugar Pod II Peas, planted on Feb 15th. Of the several varieties of peas I grew this year, by far the best were the Oregon Sugar Pod II peas from Ed Hume seeds. 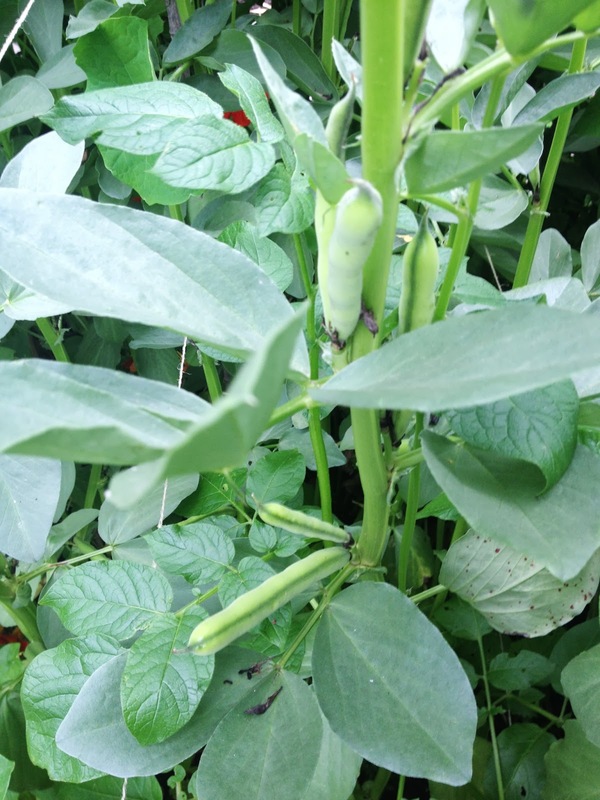 Their pods are sweet, succulent and crunchy and don't seem to get the least bit stringy. The package said they climb to 3' but mine are 7' (those packages are hardly ever right). After the festival I'll be ripping them out and planting broccoli, cauliflower, and Brussels sprouts. My first year growing fava beans is turning out to be a success. I can't wait to try them! One of the best things about June is the abundance of strawberries. If you don't grow them you're missing out. I potted up about a dozen starts of these June-bearing strawberries and will be selling them at the festival. 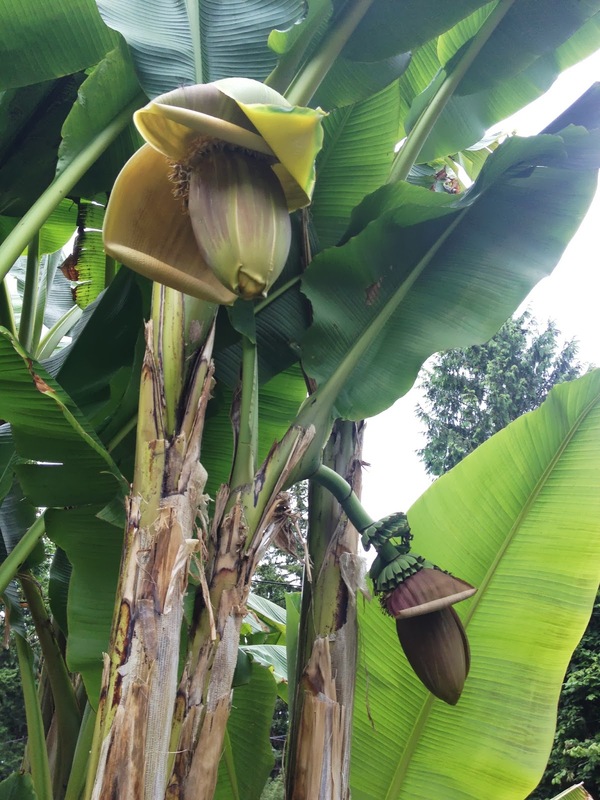 Two bananas flowering at the same time! Be sure to check out our garden festival on Sat. July 6th - it is going to be a lot of fun! Click here for more details.